How about some more fonts? You can never have too many, especially when they are as beautiful and unique as these. This deal from Ian Mikraz includes 6 fabulous fonts that you need in your collection. There are a variety of styles in this collection, from hand written scripts to vintage Victorian display fonts. Some come with OpenType features, others with bonus vectors. All of them are what you need in your font collection. This deal also includes EOT, SVG, WOFF, and WOFF2 files for each and every font. That means you can use them in your web designs without resorting to high bandwidth images. Stellanova is a handmade script typeface suitable for wedding invitations, greeting cards, and any designs needing a natural and personal touch. Mix and match the alternate characters to give your typography some flair. This typeface includes a total 338 glyphs, plus OpenType features like stylistic alternates, ornament, swashes, and more. Ariana Script is a monoline typeface and is great for logos, wedding invitations, posters, and more. This font includes 538 glyphs, along with OpenType features like stylistic alternates, ornaments, swashes, and more. BONUS: You'll also get 6 "line style" vector illustrations that are great as icons or logos. 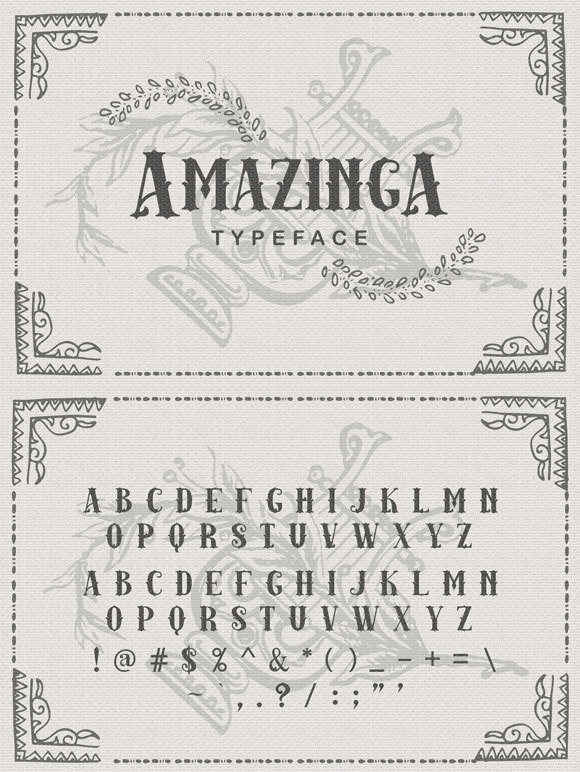 The Amazinga typeface is a serif display font with a Victorian style, making it perfect for vintage designs, t-shirts, logos, posters, and more. Ayla Script is a cutesie typeface, great for projects like logos, invitations, greeting cards, and other feminine designs. It contains 307 glyphs with OpenType features like stylistic alternates, ornaments, swashes, and more. Maudy Script is a bold, modern, and multipurpose typeface with natural brush lettering. It's suitable for logos, packaging, headlines, t-shirts, invitations, and more. 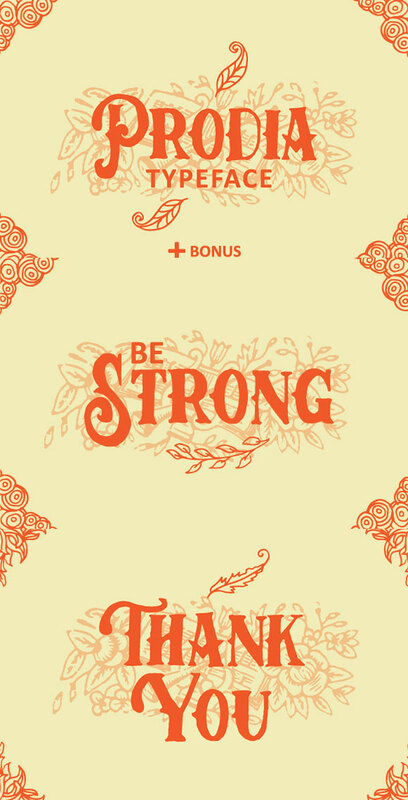 There are 272 with OpenType features like stylistic alternates, ornaments, swashes, and more. BONUS: You'll also get a cute, vector illustration of Maudy herself, the inspiration for this typeface. The Prodia typeface is another handmade font with a Victorian style, making it perfect for vintage designs. BONUS: Prodia also includes a selection of handmade vectors for free! Normally, all of these fonts and bonuses would cost you $85. For a limited time, you can get everything for just $29. That's 66% off the regular price. Files are provided as an instant download after purchase.in ZIP format (19.8MB). Files are provided in OTF, TTF, EOT, SVG, WOFF, and WOFF2 file formats. Bonus files are provided in AI, EPS, and PDF file formats. Files can be used in both personal and commercial projects.